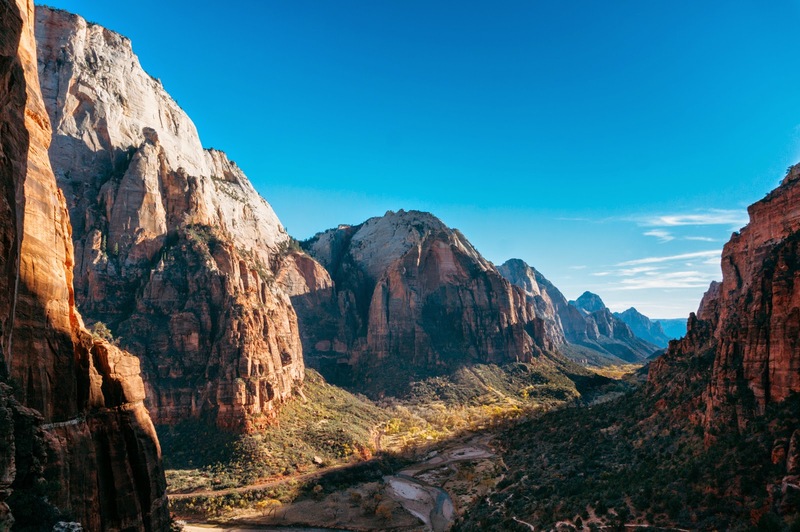 On our trip to Arizona and Utah, we were able to visit Zion National Park where we had a list of hikes that we wanted to do. 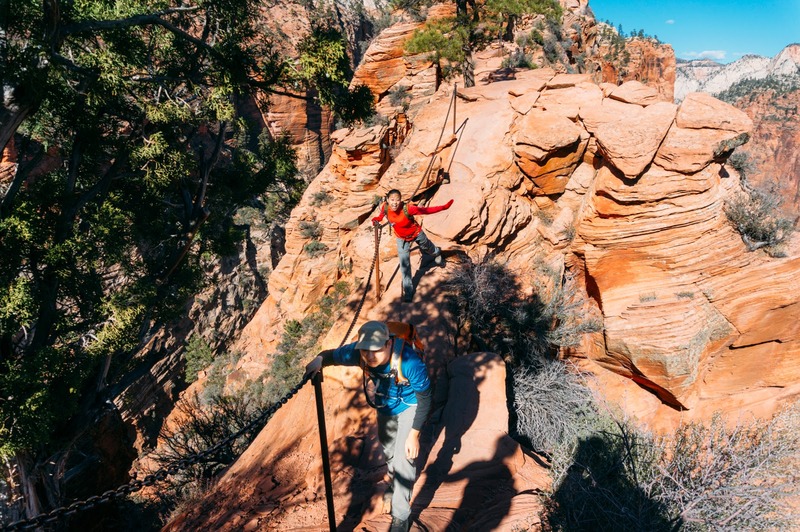 For months before the actual trip, we did a lot of research on the most popular hikes and whether or not we can fit them into our two short days there. 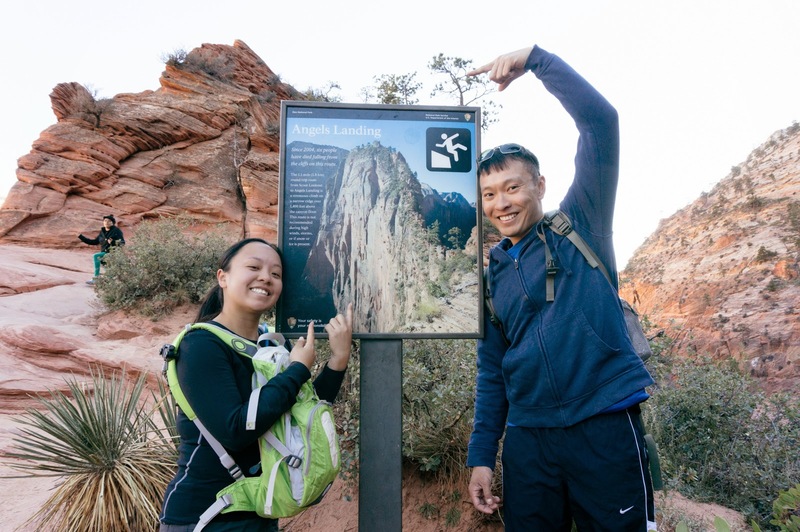 We ended up choosing the hike up to Angel's Landing which was one of the most popular during the peak season and probably one of the most strenuous treks there. The trail itself is just 2.4miles one way, but don't think that it can be done in 1 hr unless you are EXTREMELY fit. 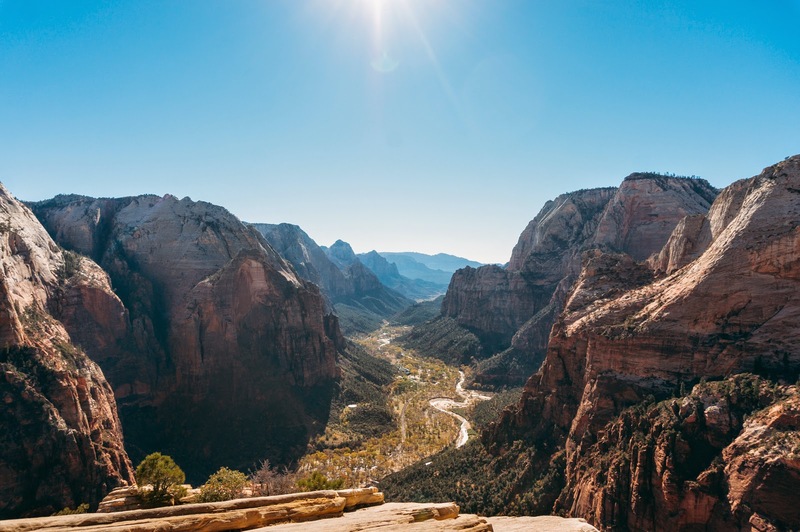 In those 2.4 miles, you have an elevation gain of 1,488 ft and the first two miles are paved, steep, switchbacks where you will find a lot of vantage points along the way. The last half mile is not paved and there are chains for grip to help you along. This was the scariest part of it all and for those who have a fear of heights, it would take a lot out of you just to walk across some parts where the stepping ground is only about 1 foot wide. 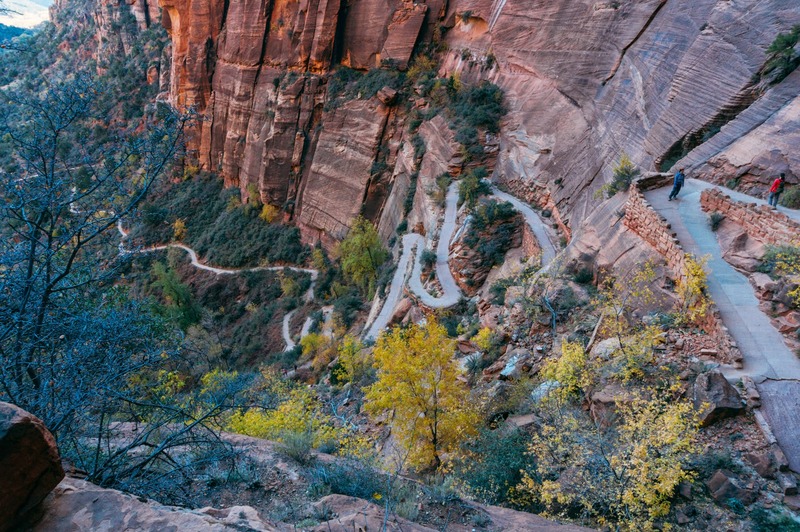 During peak season, this trail is filled with people who would cut in front of you, which might make you nervous. Don't let this deter you from hiking up to the 2 mile point though, where you would still get great views of the canyon! 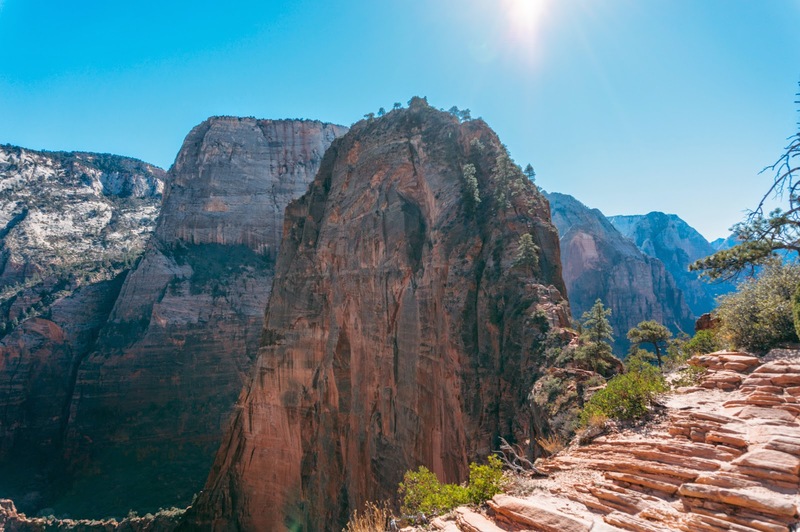 All six of us hiked all the way up to Angel's landing, had lunch, and came back down in about 6 hours. Two of us (including myself) are afraid of heights and it was very nerve wracking at some points of the trail where there wasn't much to work with. The view at the top was so worth it though!